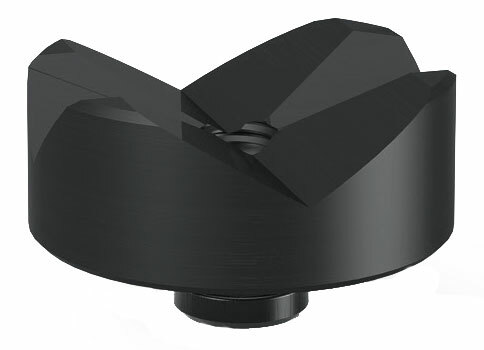 All System 16 Prisms are equipped with a removable screwed-in collar. 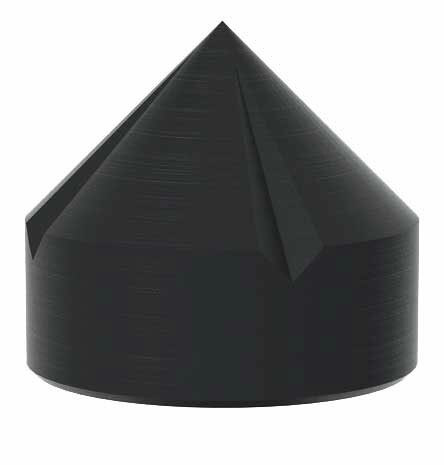 Included in delivery of each Prism is a screwed-in collar and a countersunk bolt. 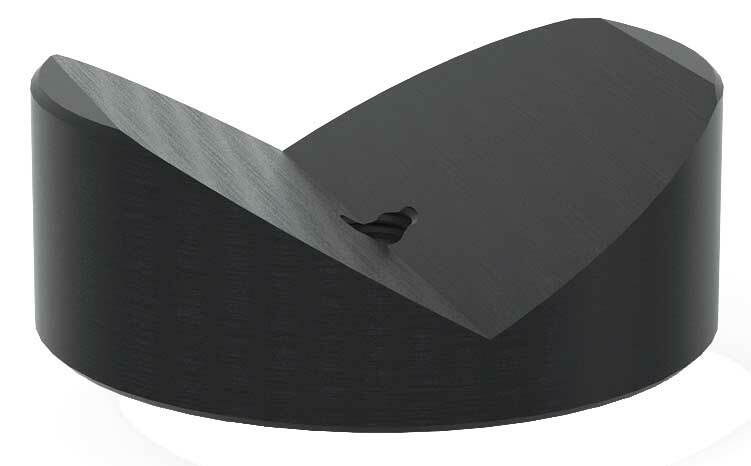 The prism with collar is universally applicable for all system 16 boreholes, and offers a sturdy support surface for pipes. All System 16 Prisms can be used without collar. Consequently they can be positioned on the table independently from the hole grid. 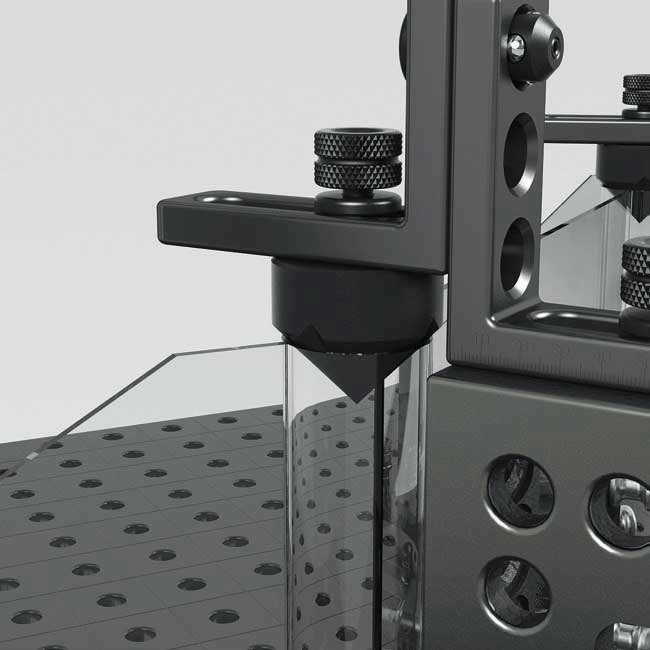 Vario Prism Ø 50 is suitable for both rounded and 45 degree twisted square pipes up to 80 mm in diameter due to it's 90 and 120 degree angles. Can be used with collar for bore holes or free of the hole grid by unfastening the collar. Polyamid versions also available for scratch sensitive surfaces. Prism Ø 80 120° is suitable for pipes with a diameter up to 120 mm. Can be used with collar for bore holes or free of the hole grid by unfastening the collar. 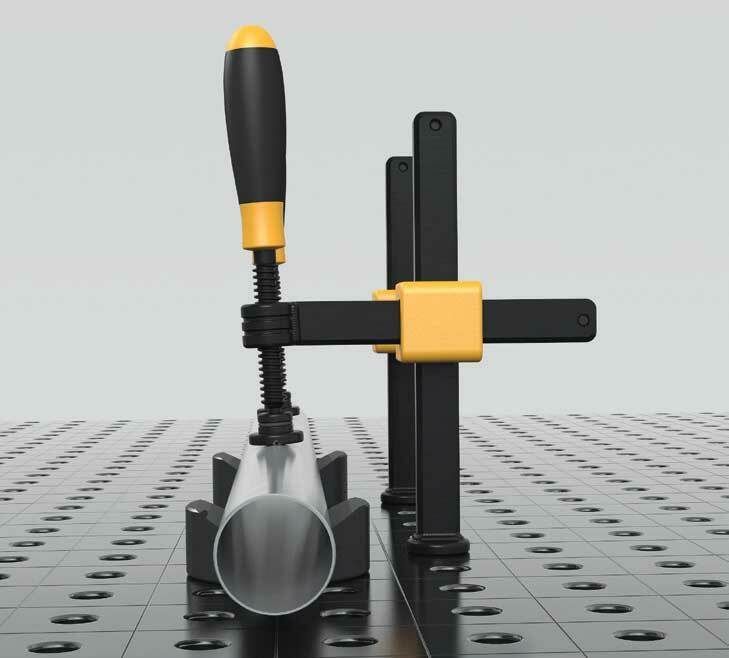 The Clamping cone enables clamping of round and square pipes with a diameter of up to 45 mm. 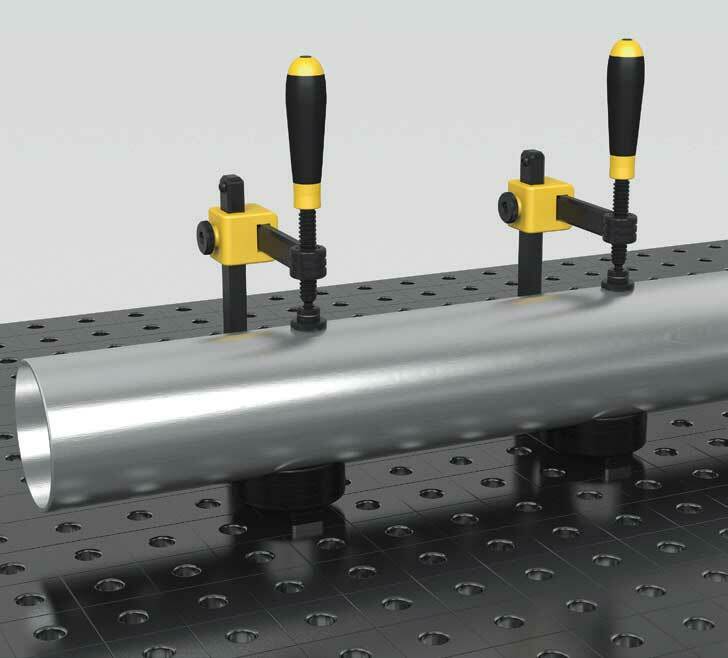 Cone enables locating through the centerline of tubes. Clamping cone is fastened using bolts such as S2-280510 and contains no collar.